Домой English page Analytical Report: October 2011. — Article by Alexander Lukashenka in the Russian newspaper “Izvestia” devoted to the prospects for integration on the territory of the former Soviet Union. The bureaucracy continue to press on Lukashenka in order to make him approve the transformation of “White Rus” into a political party: the draft statute and program of the party have been already announced. It would be wrong to consider the party formed on the basis of «White Rus» the party of power because the real power is still concentrated in the hands of the head of the state. Rather, the party will become a kind of “union” of senior officials and their business. The new party will mostly resemble the CPSU in its twilight: a complete absence of ideology, cronyism and formalism in the activity. The organization was formed of the number of civil servants and public sector employees by an order. That’s why the high-ranking officials at the same time occupy leading positions in it. “White Rus” didn’t manage (and perhaps didn’t want) to be the political support for the regime. For example, it organized no campaigns in support of Lukashenka. A campaign to collect signatures for his presidential nomination last year can be considered a failure: the required number of signatures was collected only with the use of administrative resources. 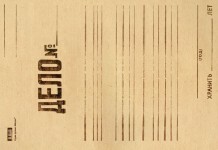 At the same time it’s necessary to pay attention to the tendency of central government to lose the control over the activities of local officials: in the analytical note for June 2011, we pointed out that according to the research made by the Administration, only the third of government’s orders is executed at the proper level. At the moment the situation has aggravated, because the range of ignorance of the government’s orders has become so big, that’s it’s impossible to hide it. The business community openly declares that the government’s decisions to improve business-climate are completely ignored by local officials. It should be noted that at present the Belarusian state apparatus suffers from a constant decrease in potential of the personnel and the explosive growth of corruption and abuse of power. A removal of V. Golovanov from the position of Minister of Justice because of “misconduct inconsistent with the civil service” can be considered as a sensation of the month. The reason for his removal was the fact, that Golovanov drilled a well on land belonging to him, which is illegal. It is notable, that Golovanov’s misconduct is not so serious in Belarusian realities, therefore it can not be considered as the real reason for his dismissal. It seems that with the hard punishment for an unimportant member of the Government, Alexander Lukashenka has given quite clear warning to the bureaucracy concerning the attempts to destabilize the current regime. It should be noted that the need for cleansing state apparatus at least in connection with the fight against corruption and abuse of power appeared long ago. Alexander Lukashenka has already hinted at that. The strengthening of discipline and consolidation of the subordinate role of bureaucracy in the existing system of government are the main purposes of the cleansing. Only the lack of personnel to replace the removed officials on the positions in the government can be retaliatory deterrent. The main event of the month, of course, was the introduction of the complex of “anti-revolutionary” bills, consisting of two blocks, the first of which is directed to the actual destruction of civil society by depriving the civil organizations of the access to foreign financing (i.e. in most cases to a single source of funding) and the second one is directed to the expand of the functions of law security agencies. Regarding the latter it should be noted that there is nothing new in that: in fact it is just a legislative approval of existing practice of the KGB. Therefore it’s wrong to say that the security agencies are provided with some new powers. The new version of the law “About State Security Agencies” (in case it is adopted in the edition of the subject of legislative initiative) does not contain certain emergency or special rules: the power of Belarusian secret services doesn’t exceed the power of intelligence agencies of most western countries. Discussions about the lack of control of their activities are completely speculative: due to the specifics of the security agencies it is impossible to control them fully. But a large number of references to the legislative acts of the President, contained in the bill, is alerting. These references pose a threat of infinite lawlessness. In general, it should be noted that the ban on both activities of organizations, not controlled by the government and peaceful protests, against the background of the difficult economic situation naturally accumulated the formation of classical revolutionary organizations, which the official media like to use to intimidate the people. At the moment the retaliatory deterrent is that the Belarusian society retains the remnants of the Soviet sacralization of state power. It is psychologically difficult for the majority of Belarusians to resist the representatives of the government. However, this situation can not continue long, when the rating of the regime is critically low. The situation is also complicated by the weakening of state power, reducing its effectiveness and the outflow of professionals from law enforcement agencies in particular and from the government in whole. Assumption that the Belarusian authorities are going to tighten the pressure on opponents in order to continue to use it as a subject of bargaining with the West doesn’t seem to be real: the U.S. and the EU made unambiguous terms for Belarusian authorities. Fulfilment of these terms, however, won’t mean the resumption of the dialogue between the West and Belarus, which is counted upon by Belarusian authorities. Failure to fulfil these terms makes any dialogue impossible. It is also doubtful that the economic difficulties that could lead to mass protests were the reason for toughening of the legislation. Today, due to the absence of an organizer, the threat of nationwide protests in Belarus is mostly theoretical. The local protests can be resolved even without the use of force. In addition, the regime still has significant financial reserves in the form of closed-end funds and funds of state and formally private companies (including foreign ones). Rather, it could be either the purposeful aggravation of the situation in order to drive the top political leaders of the country even deeper into the internal and external insulation. Or it could be the inability to adequately assess the situation due to the low professional level of officers who are responsible for that. — The creation of actual financial offshore with the participation of the Qatari capital. It should be noted that the providing the hunting grounds to the members of odious Arab regime, at least won’t cause an enthusiasm in Belarusian society. Moreover, it gives the opponents of the government hypothetical possibility to use the patriotic themes of “stopping selling the Motherland”. It is also necessary to consider, that Belarusian society in the overwhelming majority is xenophobic, especially with regard to the “coloured”. In fact, the implementation of the agreements will further strengthen isolation of the authorities from their own folk. The prospects for creation of a financial offshore in Belarus with the participation of Arab capital are rather doubtful. The campaign to combat tax evasion has become international. Under pressure from the governments of several Western countries and Russia many offshore areas actually curtailed their activities, and banks agreed to open data about their depositors to the competent authorities of their country of citizenship. It should be noted that the idea of using the disappearance of the number of “tax shelter” and the weakening of bank secrecy protection abroad to join “grey” financial resources to the Belarusian financial institutions has long been actively discussed among Belarusian authorities. Hypothetically, this idea looks attractive in case its implementation in the country attracts a significant amount of “long” and inexpensive resources, i.e. foreign investment, necessary for Belarusian economy. Belarusian offshore may be especially interesting for Russian citizens. However, the EU and Russia seem unlikely to quietly observe the formation of an offshore zone in Central Europe, especially in the light of possible threat to budget crisis. Qatar is quite vulnerable to the pressure from the West. Moreover, it refers to the pro-Western regimes. Even if the Belarusian government don’t abandon the plan for opening an offshore bank, it can’t be said that Qatari government will agree. The event that potentially could affect the stability of the socio-political situation in the country was a strike of municipal workers in the town of Borisov, Minsk region. As a result of the workers’ actions the government was forced to make concessions. It should be emphasized that the workers’ actions were completely self-organized. The strike was widely covered on the Internet. It is possible that a local victory of employees will become an example to other employees, primarily engaged in public sector, how to defend their economic rights. — Any integration is seen as part of the European integration process, i.e. Belarusian authorities intend to use the West as a counterweight to Russian influence in the regional integration of the CIS. In his article Alexander Lukashenka pointed out that Belarus had already paid a heavy price for the actual Russian integration project in the hope of future gains. And in the opinion of Belarusian authorities these gains can be too small. At the present time, the idea of the Customs Union is taken negatively in Belarusian society: usual Belarusians don’t feel positive changes promised to them in connection with joining the Union. Thus, the refuse of Belarusian authorities from the integration with post-Soviet countries won’t be considered as a wrong action. On October 29, 2011 in the Tajik capital, Dushanbe, Alexander Lukashenka said that the cause of Belarusian currency crisis were rising energy prices and joining the single economic space. Calling the things right we get: Russia is guilty in the Belarusian crisis. Next Belarusian leader expressed the willingness to restore full collaboration with the U.S. and the EU. In connection with the latter, the point of view of some Belarusian experts, which is not talked about widely, seems quite interesting. The experts think, that under certain circumstances Belarus, having received the necessary support of the West, can act as a detonator that could undermine integration schemes of Russia. If something like that happens, it will put an end to any attempts of Russia to collect post-Soviet states. It will completely discredit the idea of the unifying projects in the CIS. On October 26, 2011 news agencies spread the information that «Deutsche Bank» and «BNP Paribas» stopped cooperation with Belarus. Human rights activists were quick to declare that their victory: the fate of A. Bialiatski continues to be to be in the spotlight of international human rights organizations. 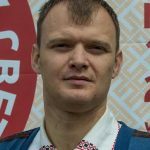 Earlier, we pointed out that his arrest was a serious mistake of Belarusian authorities: in contrast to Western politicians, many of which are closely connected with the business — community, it is quite difficult to affect the human rights activists. So far, there are still no explanations of the reasons for termination of the cooperation from the financial institutions. The internal situation: the opposition and protest movement. In October Belarusian opposition politicians were on a happy roll after participation in the summit of “Eastern Partnership”. Meetings with Western leaders, being very long but without discussions of any special topics, were presented as an event that can change the situation in Belarus. Of course, first of all meeting in Warsaw was quite important, in terms of direct communication with Western leaders. But do not exaggerate their importance: it’s not a fact that the meetings will be followed by the actual steps to support opposition political organizations as an alternative to the existing regime. The initiative of “Popular Assembly” completely failed, which was expected. 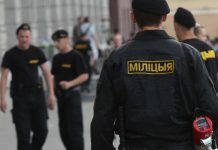 The initiative to include the anarchists convicted of property damage in 2010 in Minsk and Bobruisk in the list of Belarusian political prisoners, is one of the events that may affect the further development of the protest movement. In October Belarusian authorities refused to register the Brest regional and the Minsk city branches of “Movement For Freedom” (hereinafter referred to as MFF) on completely fictitious ground. The authorities’ impeding the activities even of registered opposition organizations is an ordinary thing in Belarus. But it’s interesting, that among opposition activists the MFF traditionally has the image of commercially motivated organization, acting on the basis of some backroom agreements with Belarusian authorities. — Low organizational skills of the initiators of the assembly. At the same time the idea to resume the silent protests by the movement “Revolution through the social network” failed in October: the small number of participants of the protests completely discredited the idea. In general, the disastrous result of both protest initiatives is determined by similar reasons, the most important of which are inappropriate assessment of the socio-political situation and the inability to organize and conduct an effective information campaign in support of the protests. In October, Belarusian Christian Democracy (hereafter BCD) took the initiative to include anarchists sentenced for arson of commercial and administrative buildings, including the KGB building in the town of Bobruisk, Mogilev region, in the list of political prisoners. It should be noted that the anarchists were sentenced to long prison terms. At the same time the punishment doesn’t match the gravity of the crime. At the moment there are only formalities to be determined to make a decision about inclusion of three anarchists from the town of Bobruisk in the list of political prisoners. 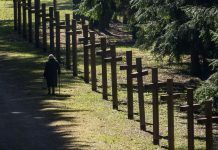 Inclusion of anarchists in the list of political prisoners will be not just unpleasant “present” for Belarusian authorities, but can also have far-reaching effect. The point is, that the arsons committed by the anarchists were rather acts of hooliganism than a manifestation of civil resistance to the regime. However, inclusion of the guilty persons in the list of prisoners of conscience and joining of the international human rights organizations and foreign politicians the struggle for their liberation, can fundamentally change the situation and give the reason for repetition of such acts. Belarusian opposition political organizations are preparing for the elections to the National Assembly in 2012. On October 19, 2011 six main opposition parties and organizations (United Civic Party, the Party of Belarusian Popular Front, BCD, MFF, movement “Tell the truth!” and the Party “Just World”) held a meeting dedicated to the current political situation in the country. As a result, the participants are thinking about boycotting the parliamentary elections of 2012, if the political situation doesn’t change. For the first time in 15 years the opposition leaders have come to quite logical opinion: under the current electoral legislation their participation in the elections is completely pointless. At the same time it is necessary to take into consideration one very important thing not discussed widely: participation in the elections is one of the ways to get financial support for both political organizations and individual politicians. Belarusian opposition got significant financial resources from their foreign partners often specially for electoral campaigns. Such fact can be explained by the hope of the West to involve Belarusian authorities in dialogue and cooperation, which can provide a possibility of some changes in Belarusian regime. In fact, the opposition’s participation in the elections in the past was mainly the order of their Western partners. At the moment it is not clear whether the idea of boycotting the election in 2012 is the initiative of Belarusian opposition or it is a change of tactics of the West. In the latter case it can be seen as a warning for Belarusian authorities. Economic situation. In October the problem of multiple exchange rates, that occurred in the country in April, was finally solved. On October 20 the National Bank started to use a floating exchange rate, that is formed on the exchange on the basis of balancing supply and demand. In fact, trading on the BCSE is done by the rules of the additional session, working as a temporary instrument since September 14. Trading on the new rules began with the rate of 08680 Br/USD. The total increase of the USD rate has reached 189% this year. By the end of the month the rate of Belarusian ruble has slightly grown (up to 8450 Br/USD), while statistics of trading on the foreign exchange market says that the National Bank has actively opposed the strengthening of the national currency, buying the excess of foreign currency liquidity. This policy can be explained by the intentions of the authorities to reduce the volatility of the currency and stabilize the expectations of economic agents, as well as by the desire to save the exchange rate of the currency below the equilibrium exchange rate, which is just according to the model of China’s currency policy. Thus, according to IMF experts effective exchange rate of the Belarusian ruble was overestimated by 12-16% at the beginning of the year. Decision to refuse from multiple rates was quite unexpected after the statements by the head of the National Bank Ermakova, that the implementation of this measure would take more than a month, made in early October. Most likely it were Russian authorities, demanding implementation of Anti-crisis EAEC measures, who played a significant role in the liberalization of the foreign exchange market in Belarus. At the same time the authorities needed to demonstrate some positive changes during the visit of the IMF mission to Minsk, which took place at those time. At the same time, the negotiations of Belarusian government with Russia on gas (the new gas supply contract at a reduced price, connected with the sale of Belarusian shares in the company Beltransgaz to Gazprom) and the oil issue (abolition of both the special price premium and the export duty on oil products to Russian budget) continued in October. The adoption of these conditions (which is very likely according to the words of experts) will allow Belarus to save about USD 2-3 billion in 2012. Agreement on those conditions, the delivery of the next tranche of the AF EAEC loan, and the signing of a new line of credit with the IMF on a target amount of USD 5-8 billion, play a key role in stabilizing the economic situation in the future and the ability of Belarus to pay its external debts in 2012 -2014 years. It can be concluded that in the coming years the creditors (Russia and the IMF) will actually determine the country’s economic policy due to their influence on government decisions. According to Belarusian legislation the basic documents, regulating economic policy for the coming year (the main directions of monetary policy, main directions of socio-economic development and the project of consolidated budget) should have been accepted in October. However, due to the difficulty of forecasting in an unstable situation, and because of the need to change economic policies, these legal requirements were not met. At the same time the preliminary plans of the government and the National Bank began to leak in press by the end of the month. According to this information, the principles of economic management will be radically changed in the future. The inflation values (not more than 19% per year), the positive balance of foreign trade (at least 3% of GDP) and the size of foreign investment on a net basis (not less than USD 3,7 billion) will be used as the target. In this case the growth of GDP and real income (these figures are estimates and planned to be at the level of 1-1.5% and 0-0.5%, respectively) won’t be used as the main goal. Funding for state programs is planned to be at the level of Br 12 trillion. And only Br 7 trillion would be taken from the emission sources, which means a sharp reduction in subsidies for agriculture and housing. National Bank also refuses from exchange rate targeting and starts targeting inflation (in this case the redistribution of powers takes place, because nowadays the Ministry of Economy is responsible for the inflation). The budget is planned to be carried out on self-supporting basis. The reduction of tax burden (in particular the planned reduction in income tax rate from 24% to 18%) should be also taken into account. The National Bank continues to implement a moderately tough monetary policy (the ruble money supply, adjusted for inflation, continues to decline in real terms: it has reduced approximately by 16% since the beginning of the year) through the increase of money market rates (up to 35% of the refinancing rate to 50% of the rate on overnight loans) and putting an administrative limit of access to ruble liquidity for commercial banks. According to the National Bank, a further possible increase of the refinancing rate is connected with the growth of lending to the economy, which means carrying out control measures of money supply targeting. At the moment the policy of income growth through the introduction of special allowances and bonuses is directed primarily to support the poorest parts of the population (pensioners, students, government employees with low wages), which corresponds to the recommendations of international financial institutions. Increase of the first-class rate by 28%, that took place on October 1, wouldn’t cause a growth of income due to an automatic cancellation of indexing payments (which amounted to about 20% of the average wage in the public sector in September). Thus, the authorities are trying to raise the incomes of the population without creating a ground for inflation growth and pressure on the foreign exchange market. In September positive balance of foreign trade was of USD 120 million, although, according to the preliminary data by Belstat, it should have been more than USD 550 million. Such level of balance of foreign trade means, that it’s necessary to implement a policy of a “weak ruble” or increase the efficiency of the real sector. While the changes in financial policies are fairly active, the policy of restructuring the real sector is quite slow. A considerable part of the auctions and tenders for the sale of state property failed. Officials say, that the reason is the lack of information about this process. It is also planned to continue the policy of creating holding companies (in particular to establish 12 such companies on the base of the Ministry of Industry). In general we can see the gradual stabilization of the situation in the Belarusian economy, which is achieved by reducing internal demand and increasing internal savings (for example, in January-September profits of enterprises grew by 36% in real terms). Actually macroeconomic adjustment and correction of fundamental imbalances, accumulated over the past 5 years, is taking place. However, the government has not developed a comprehensive plan for economic development after the end of this adjustment. It is not clear what is going to be the basis for economic growth in coming years. At the same time in this situation Belarusian elite is obviously not interested in reorganizing the economy under strict dictation of creditors. So, the basic task for the authorities is to develop an integrated and quite bold plan of reorganization of the economy. The situation in the field of national security and defence. The main event of the month was the fact, that Alexander Shved, the Deputy Prosecutor General, wasn’t not appointed the chairman of the Investigation Committee (hereinafter referred to as IC). It was believed that his appointment was a resolved question. However, Alexander Lukashenka appointed the Chairman of IC V. Vakulchik, who was ex-head of Operational-analytical center. The official explanation for this rather unexpected decision is that at first it is necessary to develop a scheme of interaction of investigative and operative — search agencies of the IC and V. Vakulchik, being an experienced detective, is able to do this. This explanation seems quite dubious: the main investigation and search operations are carried out by MIA, so it is logical to appoint a men from MIA the Chairman of IC. Direct investigative work should be in charge of A. Shved, appointed the first deputy chairman of the IC. It is interesting to note that it was during the rule of V. Vakulchik in Operational-analytical center this agency has turned from a technical body into a full secret service with wide range of tasks. Perhaps at some point the influence of V. Vakulchik seemed excessive. Moving Vakulchik to the IC is a way to isolate him. He became the head of the agency with certain personnel, which doesn’t give him big possibilities to create his own circle of trustees. In addition, please note that A. Shved will be the counterbalance for V. Vakulchik. This decision of Lukashenka is a part of the process of partial fragmentation of the existing law-enforcement agencies in order to increase the stability of the existing political regime, as we indicated in the analytical report in September. In October it was reported that the General Directorate for Combating Organized Crime and corruption was conducting a set of measures aimed at stopping extremism on the part of football fans and pressing all kinds of Leftist structures (antifascists and anarchists). In addition, the law enforcement agencies started to control the representatives of Pan-Slavic community. The preventive measures against them were taken in Mogilev and Vitebsk. It is quite interesting, that the MIA, but not the KGB, that is responsible for that according to the law (Article 8 of the Law «On State Security of the Republic of Belarus»), is fighting against political extremism. It should be noted that at the moment the General Directorate for Combating Organized Crime and corruption is headed by Colonel Nikolay Karpenkov, who commanded a special anti-terrorist troop of MIA “Almaz” until December 27, 2010. Thus, the removal of Nikolay Karpenkov from the post of commander of “Almaz” was not a punishment for the events of December 19, 2010 but the next stage in his career. It is also remarkable that the operational services pay special attention to pro-Russia structures, which can only be explained by the fear of Belarusian authorities that Russia could try to implement its political project in Belarus. From 4th to 7th October, on the 174th training ground of Belarus Air and Air Defence Forces in Damanava (Brest region) five demonstration firings of anti-aircraft missile complex T38 “Stiletto” were held. High-speed miniature missile IVC-M1 and corner reflectors served as a target. All the targets were successfully destroyed. The foreign representatives watched the launches of “Stiletto”. Air defence missile system T38 “Stiletto” is a product of cooperation of Belarusian and Ukrainian industry. The complex is good for Belarusian army as well as for export to third countries. Предыдущая статьяАналитическая записка: октябрь 2011 года. Следующая статьяТуманные перспективы территориальной обороны Беларуси.